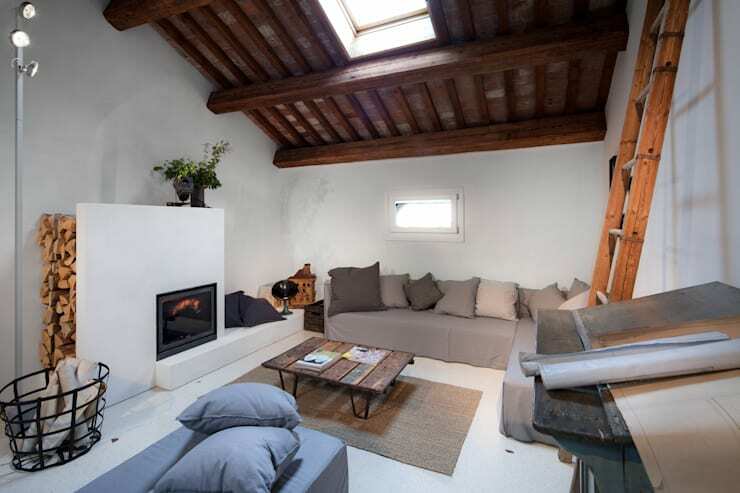 Let's travel to Montebelluna, in the north eastern corner of Italy today at homify, where we come across a house that was built in 1560. As beautiful as it might have been at some point and as historic due to its links to Italian nobility, we can all agree that the 16th century was a very long time ago. So it won't surprise to learn that this home was falling apart. This is where design professionals Welldom intervened. They restored this old villa, focusing on quality as well as sustainability. In 2014, it won the first competition in Europe entirely dedicated to sustainable redevelopment projects. We will see how history and future collide in this impressive project! The designers truly tried to create a balance between nature and modern family comforts. We can see that this home was once grand and expansive, nestled up on a hill like royalty. However, the garden is completely overgrown, which makes this property look wild and unkempt. This does nothing to improve the aesthetic appeal of the home. It just conjures memories of a more glorious past. The facade is peeling and stained old with age. There is runoff from the roof, appears to have damaged the walls of the home. From this angle, it looks like the villa could be haunted! If we peek inside, we can see just how derelict it was looking. 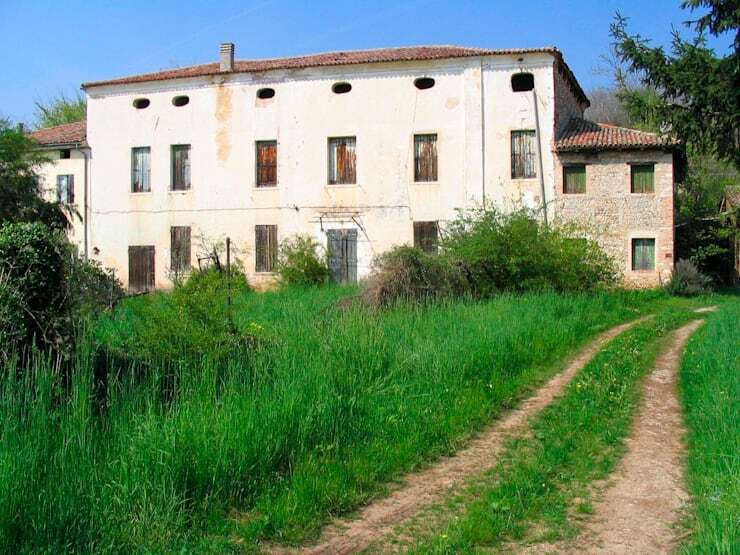 While we can see how beautiful this old home must have once been with the stone floors and sturdy walls, it hasn't been cared for or looked after in quite some time. 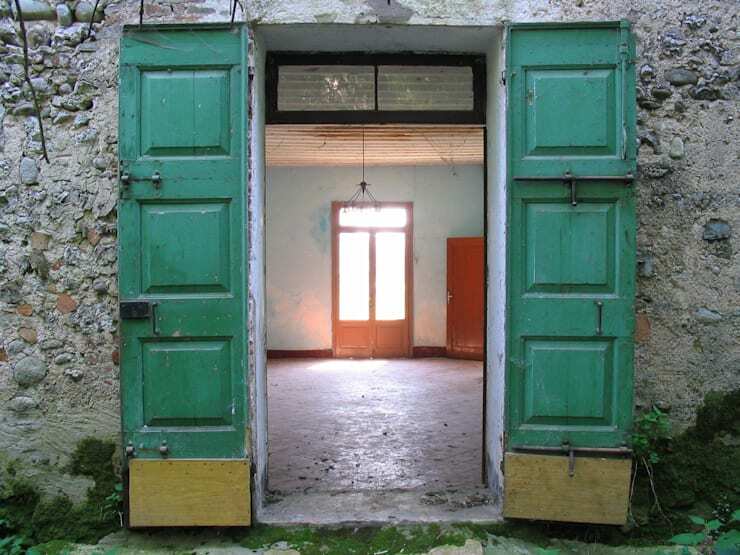 The white walls are very grubby, while the doors look like they are about to fall of their hinges. The bottom of the walls, which are black, look like there is mold growing on them. This place looks very dark and cold, with no appeal. 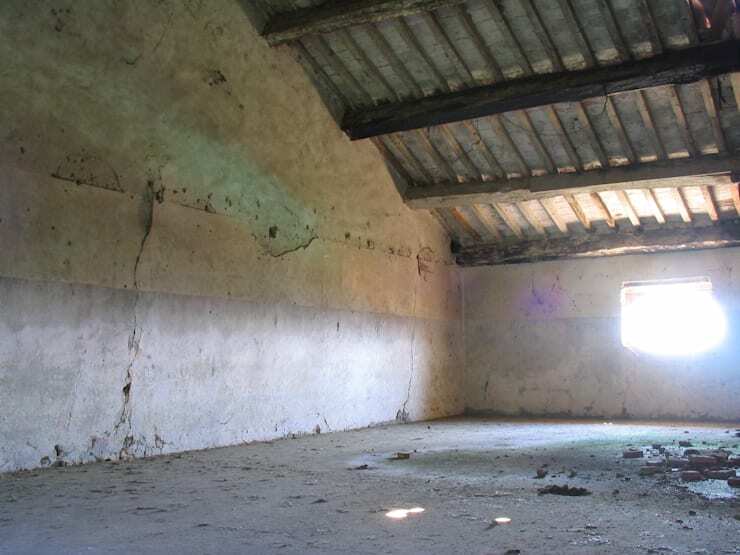 The home is completely abandoned, which is a pity because we can see how much space there is to work with. This is a large and expansive property, with big rooms and high ceilings. Unfortunately, the lack of maintenance means that the home is falling part. The walls are cracked and the ceilings look like they are going to cave in. This is a very depressing state of affairs, which is why we are so excited to see the restoration! The home has been completely transformed into a modern masterpiece, without losing any of its original charm or grandeur. The facade has been completely restored, featuring a gorgeous white look and feel that works in harmony with the more rustic stone sections of the house and the tiled roof. The neutral tones create a sophisticated yet rustic ambiance, creating a home that looks like it belongs in the country. The garden has been revamped, evolving into a sleek manicured space. The well-organized trees and trimmed lawn makes for a very attractive exterior space. This is further enhanced by the dramatic pathway that runs through the garden. 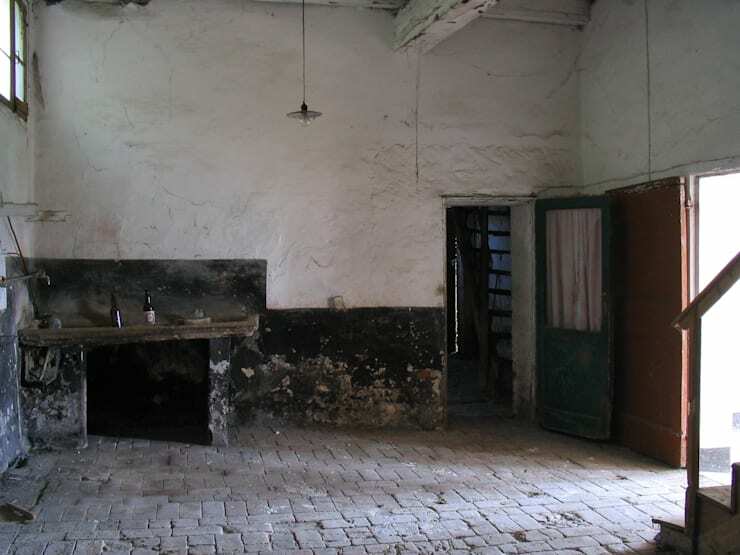 The interior of the home is completely changed from the dilapidated space that we witnessed previously. The designers replaced the floors with modern wood, which adds a very warm and earthy touch to the home. 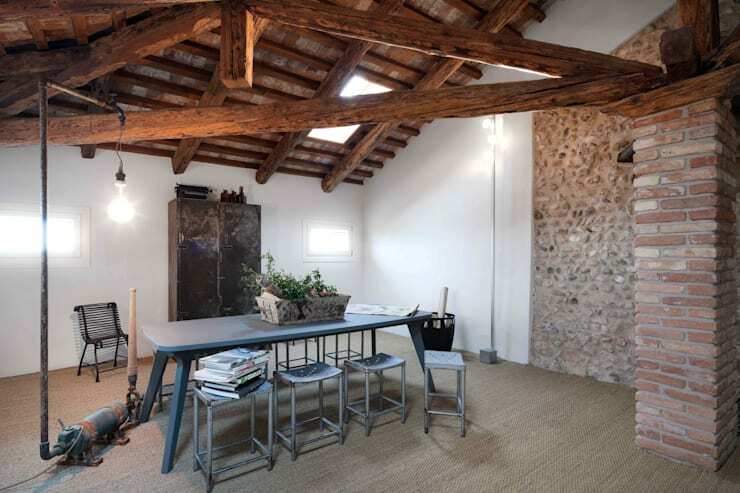 This works in harmony with the white walls and the rich wooden ceiling beams. Don't you just want to curl up in this space right now? The living room is simple yet charming with grey furniture and a bookshelf, which houses personal books, photographs and decor items. Shelves are functional as well as a great design element in a space – as we can see here. Have a look at these things to consider when choosing shelves. The little windows throughout the space allow natural light to stream in. This is much needed in a home that is so large, with such high ceilings. You need plenty of natural light to ensure it doesn't look too dark or get to cold. Isn't the dining room the most charming little space you've ever seen? The skylights and the windows allow that natural light we spoke about earlier to warm this space up, creating an inviting ambience. Don't you love the patch of stone wall, which was retained from the original structure? This adds a real authentic and homely touch to the dining room. The designers added a bit of colour to the space in the form of the blue dining room table and chairs. We love this soft and subtle colour! There are a few decor pieces that enhance this room, including the big pot plant on the dining room table as well as the old rustic cupboard behind the table. These are little things that add charm and personality to a space. Have a look at these tips: how to dine in style: your perfect dining room. Every Italian villa needs a cozy spot where the family can curl up in front of the fire, read their books, watch a movie or play games. This space looks irresistibly comfortable and cushy with the plump sofas, thick cushions and a trendy fireplace. Again, we can also see how natural light plays a role. The designers stuck to very neutral colours, ensuring that this home is like a little haven where the residents can feel safe and relaxed. 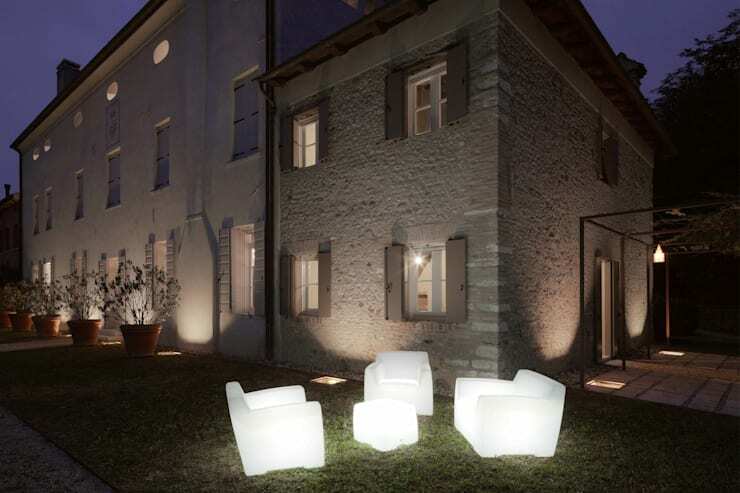 We end our tour back outside the renovated home, where quirky glowing furniture illuminates the garden space. Wouldn't you want to relax on these chairs under the stars? Outdoor furniture is a must for any exterior space, allowing the family to relax in the fresh air. Ensure that the pieces that you go for are durable and will last in all weather conditions if you want to go for the same look and feel in your home. Everything about this home is charming and warm, while evolving into a modern and magnificent piece of architecture. 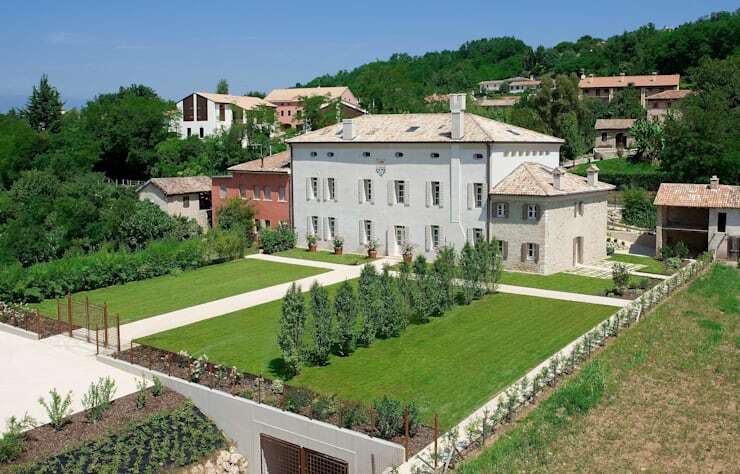 Like this ideabook, perhaps you'll enjoy the restoration of this beautiful French home. What do you think of this modern Italian villa?